I have been leading the efforts here are PanicREV Ministries for almost 12 years now. Over that time most of our focus has been on reaching out to motocross riders across the country with the news that Jesus loves and died for us all. Because we believe that it is foundational, life changing, and the most important message anyone could ever hear! Most within the motocross world find their personal foundation and identity in their racing, in their jobs, and a list of other things that only have temporary importance. These foundations continually crumble and we continually make our best efforts to not only be there when they do, but to help replace them with a Christ centered foundation and way of living. This is why we are so committed, this is why we work so hard, this is why we sacrifice … this message and truth has to reach those who have ears to hear it. I would like to share a bit about a young girl we met this summer at camp. Her name is Molly. 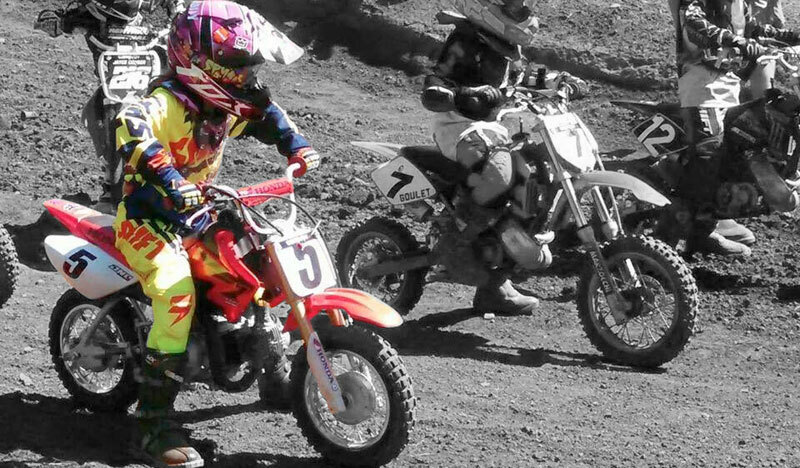 Molly was a young rider out on the track doing her best on her XR50; however, the hills on the track were intimidating to her, so much so that the fear of climbing those hills kept her off the bike the second day of camp. She was terrified and continually came up to John and myself asking for prayer. After praying a number of times, Molly chose to be courageous (Joshua 1:9), came back the third day, and was able to conquer her fear. She climbed those hills and had a fantastic conclusion to camp. Not only did Molly make us all proud, God also moved boldly in her and her family’s lives. They were all so moved that they chose to make a donation. When Molly got news of her family’s donation, she wanted to be a part of it, too. This young girl got together every dollar she had been saving and wanted to donate it to the cause. Molly donated $32 in one dollar bills. I keep all 32 bills in my desk drawer as a reminder of Molly and something so special that God did in her and her family’s lives that she wanted to donate ever dollar she had. Molly, her family, and their story have touched and changed my life. I believe in the work God is doing through this ministry and it has a profound potential for growth and a much larger impact! We want to continue providing a high quality experience at CampREV and continue to make an impact for Christ through it. We also have HUGE plans for the future and want to see Molly’s story and others just like it multiply by the 1000’s and tens of thousands. We need tools to make that happen and get this message of hope in Christ to a much larger portion of the motocross industry. I am personally all in and excited about the work that is ahead because I know God has amazing things planned. This is why I am asking for your help this Christmas season. I have a feeling that there are more people that are excited about reaching the lost within the motocross industry and have the heart to support the word God is doing through PanicREV. Whether it is a one-time donation or a monthly gift, know that your support is making a difference and empowering us to impact lives. Please visit donate.panicrev.org and make a difference today!